TripAdvisor has named Belize a Top 10 destination for adventure travel in 2019. The report, World’s Top Spots for Adventure Travel, lists the best places in the world for travelers looking for an adrenaline rush. The global travel site is read by an average of 490,000 visitors every day and is regarded as a leading authority on travel. 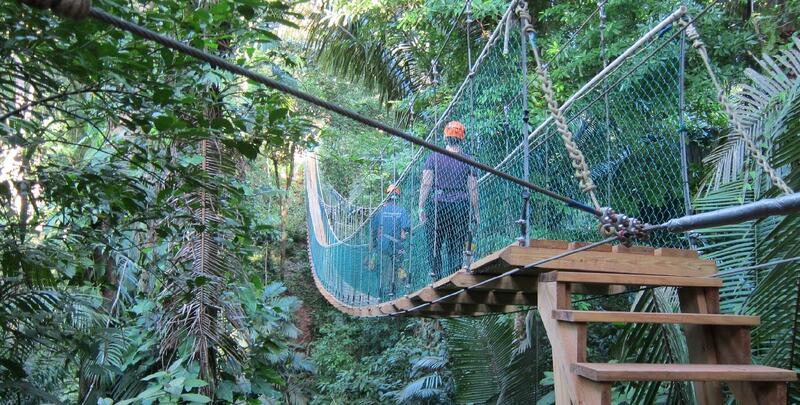 TripAdvisor noted that Belize benefits from its small size by letting you pack more adventure into less time. “Experience two of Belize’s most popular activities in a single day with a zip-line and cave tubing tour where you can fly through the jungle on a seven-cable zip-line course before making your way through the tropical forest and float through an underground cave system in the heart of the Maya mountains,” TripAdvisor says. The report also cited the thrills to be had at the Belize Barrier Reef, where snorkelers and scuba divers can explore one of the most ecologically diverse ecosystems in the world. Belize has long been prized among travelers who search out experiences that are off the beaten path. Diving the Blue Hole of the Belize Barrier Reef. Sea kayaking on the reef and cayes. Since 2004, Barefoot Services has been helping travelers experience the best that Belize has to offer. The company offers local guides, car rentals, adventure excursions and expert knowledge. “We are more than a car rental service,” said Megs Yearwood. “If you want a trip that gets your heart pumping, we can arrange cave tubing, diving trips, visits to Maya ruins and everything else.” Barefoot Services also handles hotel reservations, transportation and specialty tours. If you’d like to plan your own Belize adventure, contact Barefoot Services and get started.